The reigning Danish champions didn’t waste any time bolstering their squad following their qualification for the Champions League group stage last night. 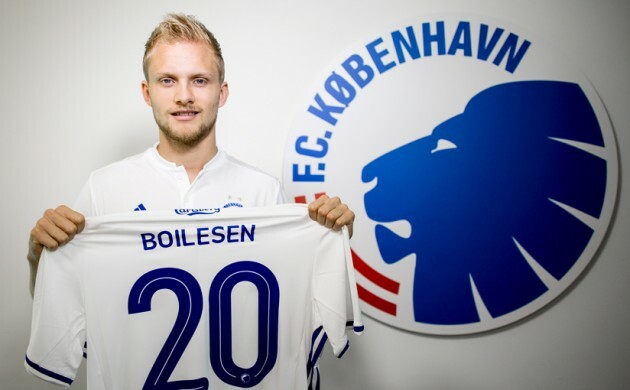 The Lions revealed a brief moment ago that they had secured the services of left back Nicolai Boilesen on a free transfer. The 24-year-old has 15 caps for Denmark to his name and 52 games for Ajax, winning four league titles and even captaining the Dutch side for a spell. FCK fans will be forced to wait some time before seeing Boilesen in action, however, since he hasn’t played a competitive game since last year after falling out of favour with the head coach at the time, Frank de Boer, over a contract dispute. “We are aware that Nicolai hasn’t played matches for a long time due to his situation at Ajax, but we’ve laid out a good plan for him so he can return to his highest level,” said Anders Hørsholt, the CEO of Parken S&E. Boilesen rose through the youth ranks of FCK’s arch nemesis Brøndby, but never played for the first team before joining Ajax in 2009 aged just 17. With Boilesen joining FCK on a four-year deal, controversial striker Nicklas Bendtner remains the only Danish star without a club ahead of the qualifiers for the 2018 World Cup. Denmark take on Armenia at home on September 4 in their opening game of Group E, which also includes Poland, Romania, Montenegro and Kazakhstan.